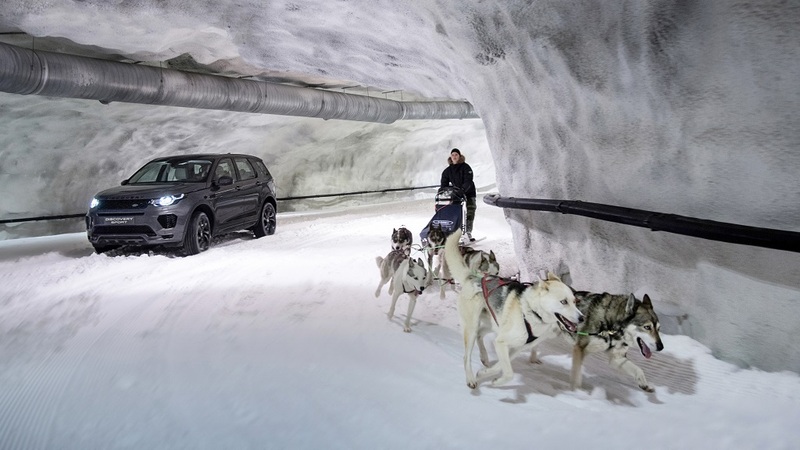 With an estimated 50 per cent of Land Rover customers owning or regularly travelling with a dog, Land Rover has put its canine capability to the test by transporting a team of sled dogs to an underground snow tunnel in Finland for a unique training challenge. Finland, 29 August 2017: This year’s warm summer has left much of Northern Europe without snow. Land Rover took a team of husky dogs in need of training ahead of winter championships to the Vesileppis Ski Tunnel in Finland, for a much-needed sprint around a snow track. The Discovery Sport SUV provided stiff competition for Finnish middle distance champion, Laura Kääriäinen and her team of six sled dogs. They went head-to-head in Vesileppis Ski Tunnel, Finland, in a unique 1km sprint around the dedicated underground tunnel. The undulating tunnel is carved into the bedrock 35m below ground level and kept at constant -2°C to maintain a blanket of snow 20mm deep throughout the summer, making it the perfect place to put the Discovery Sport’s all-terrain capability to the test. Setting off in opposite directions, the dogs had a straightforward task. Once they had negotiated the first incline they were able to pick up and maintain speed – typically around 35km/h. 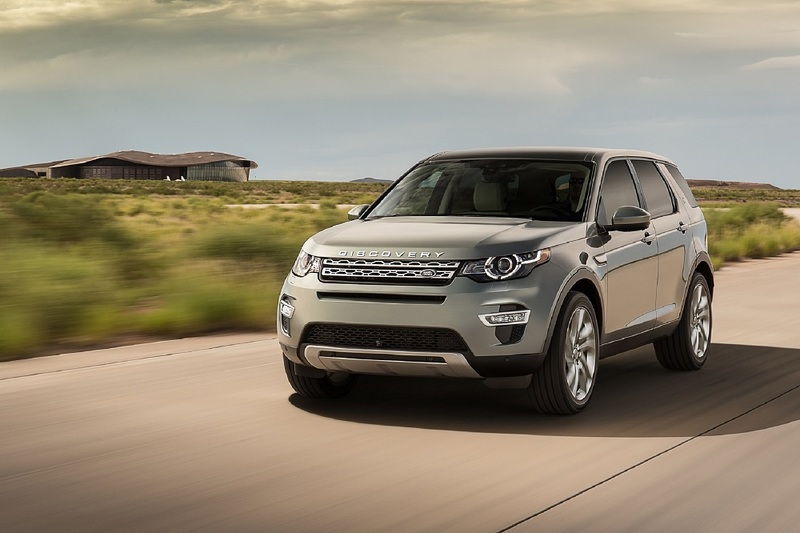 In contrast, the Discovery Sport’s path was blocked by a set of ice blocks, which put its wheel articulation and traction control systems to the test, on one of its laps. Over two laps of the tunnel, the sled team and Discovery Sport were closely matched but the Land Rover, which was forced to negotiate a set of unique ice obstacles along the way, won the unique challenge by a dog’s hair. Before the race, the Discovery Sport’s dedicated accessories ensured that lead husky Jami was safely transported to the snow tunnel to join his snow-starved pack. Land Rover’s full height luggage divider prevents pets from accessing the passenger compartment and easily fits into anchor points inside the vehicle, while a durable rubber boot mat protects the boot floor and even contains minor spills. Convenience features including Land Rover’s Gesture Tailgate made easy work of getting Jami in and out of the premium compact SUV while the Surrround Camera System, accessed through the 10-inch central touchscreen, allowed driver Richards to keep an eye on the dogs when manoeuvring inside the tunnel.